The long-standing partnership between Kristalia and Bartoli Design has resulted in real best sellers such as the Sushi and Nori tables. Now it’s time for Maki: a table also inspired by an idea of sheer simplicity, with typically oriental appeal and leg profiles with pleasantly rounded, rather than sharp, corners. Like the other table projects by Bartoli Design, Maki is also available in an extendable or fixed version, in a variety of sizes and colours, allowing a multitude of aesthetic and functional solutions. 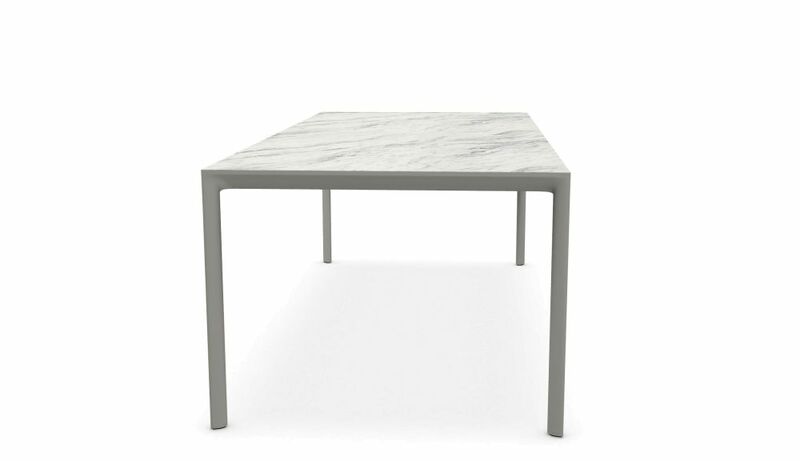 Tables that extend to more than 250 cm have a top that slightly bends, which complies with accepted quality standards.